Slavoljub Slavko B. Panovic, 79, passed away Friday July 3, 2015. born April 9, 1936 in Ratina, Kraljevo, Serbia, to Bogdan and Divna Panovic. Dearly beloved husband of Maria (nee Jelača) Panović, cherished father of Angelina (Dorde) Popović and Deda to Katarina Ana and Arya Jovanka-Maria Popović. Adored son of the late Bogdan and the late Divna Panović. Dearest brother to late Radovan (Genevieve) Panovich, late Božidarka (late Rafajilo) Božikić and late Desanka (late Mićo) Illić. Brother-in-law to Mihailo (Draginja) Paštar, and dear uncle to Grujo (Gordana) Božikić with son and daughter, Mihailo (Maureen) Panovich and daughter, Milanka (Nikola) Vujatov and sons, Milan Illić, Dusan (Jamie) Paštar with sons and daughter, and Natalie (Ostoja) Tomich and sons. He will also be dearly missed by his extended family, kumovi, cousins, and friends in Serbia, the USA, and world-wide. 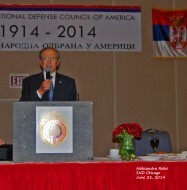 Slavko was a proud past president of the Serbian National Defense Council of America for 22 years, past president and member of St. George Serbian Orthodox Church in East Chicago, Indiana, member of St. Simeon Mirotočivi Church in Chicago, and past vice president of Old Holy Resurrection Church (Palmer Square) in Chicago. He retired from the Hektoen Institute at Cook County Hospital as a microbiologist; and prior to immigrating to the United States in 1963, he was an air traffic controller in Serbia. Visitation on Wednesday July 8th from 3:00 to 9:00 pm, with Pomen (Serbian Orthodox Wake service ) 7:00 p.m. at Sveta Gora Serbian Orthodox Funeral Home, 3517 N. Pulaski Rd, Chicago, Illinois. Mr. Panovic will lie in state from 10:00 am until the time of Opelo (Serbian Orthodox Funeral Service) on Thursday July 9th at 11:00 am at The Most Holy Mother of God Serbian Orthodox Monastery of New Gracanica, 35240 N. Grant Ave., Third Lake, Illinois. 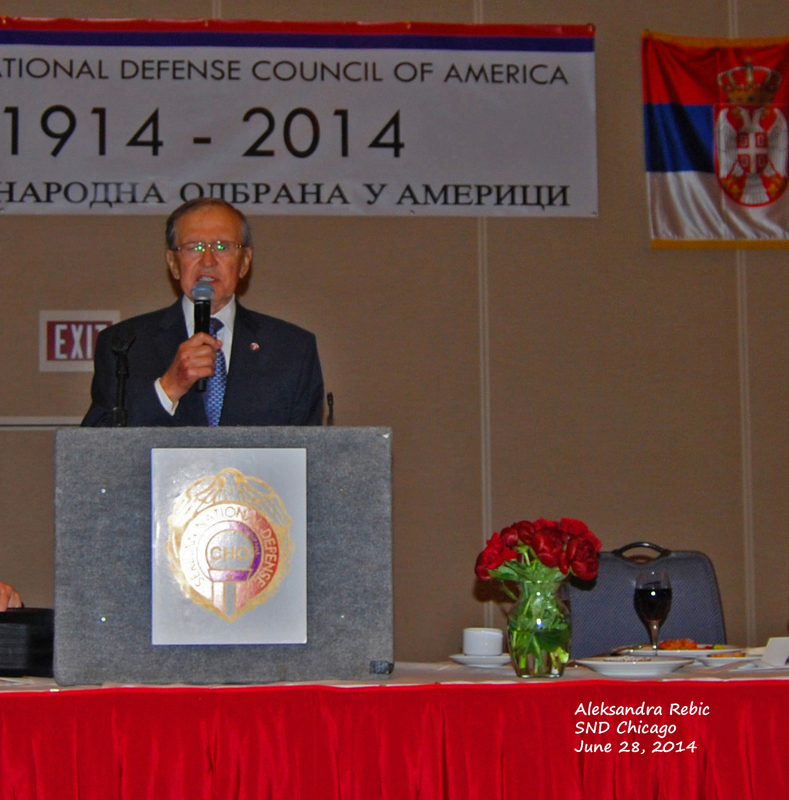 Our beloved Slavko dedicated his life to his family, the Serbian Orthodox Church, and for the defense and betterment of Serbian people both in the United States and abroad in the former Yugoslavia. May his memory be eternal – Vječnaja Pamjat! For more information please call SVETA GORA SERBIAN ORTHODOX FUNERAL HOME, telephone 773-588-2200. This entry was posted in The other topics by Miloslav Samardzic. Bookmark the permalink.